If you live in a flat, you can have a flat party. If you live in a caravan on an island: well, you have two options. 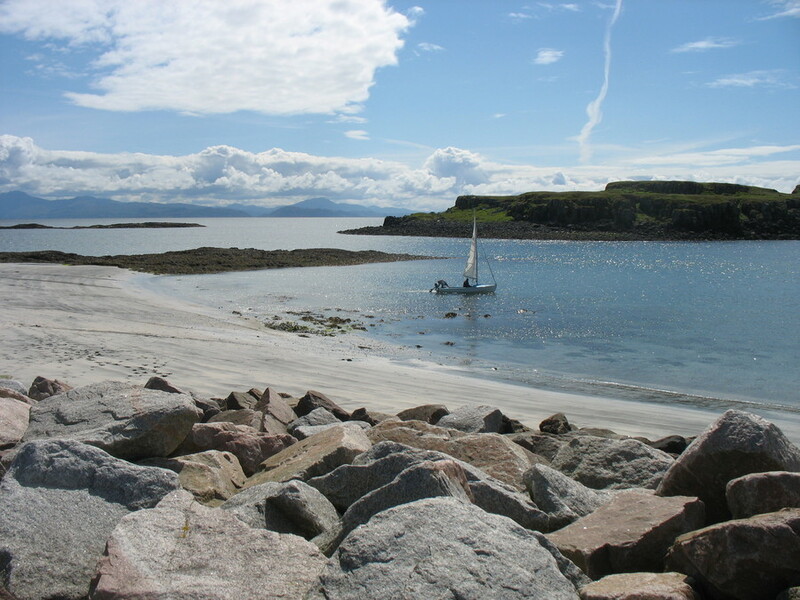 If the island is Eigg: step outside, you are having an island party. 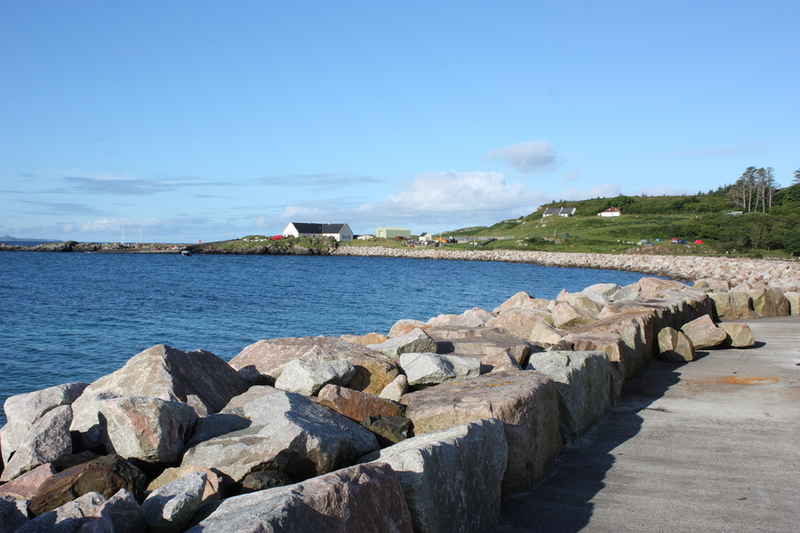 Away Game is the island party – sometimes referred to as a music festival – run by Eigg resident and Fence Records label manager Johnny Lynch, also known as The Pictish Trail. There is music, and there are festivities, but to call Away Game a music festival would suggest a bunch of other things that just don’t apply here. There are no giant stages below which pits of feverish fans slaver and worship at the strutting gods above. There are no exhausting trudges between said mammoth stages to catch 20 booming minutes of posturing followed by a horizon-view of a starlet under attack from spinning drinks cups. There are no logos, no queues, no VIPs, no litter, no rubber hot dogs or cardboard n’ paint burgers, no glowering security staff, no toilet reek, no “voucher system” for the rapid delivery of plastic pints of diluted dog piss. Music festivals are brilliant, but Away Game is special. Away Game is a party; it’s a helluva party. And Eigg is a helluva island. Part of the fun of Away Game is the little adventure everyone needs to take to get there: four or five hours from the central belt through some of Scotland’s most beautiful scenery, then a boat from Arisaig or Mallaig, to a five-by-three mile island in the Inner Hebrides, just south of Skye, with white sand beaches and a bizarre 400m high pitchstone peak called An Sgurr. The views from the top are sensational. 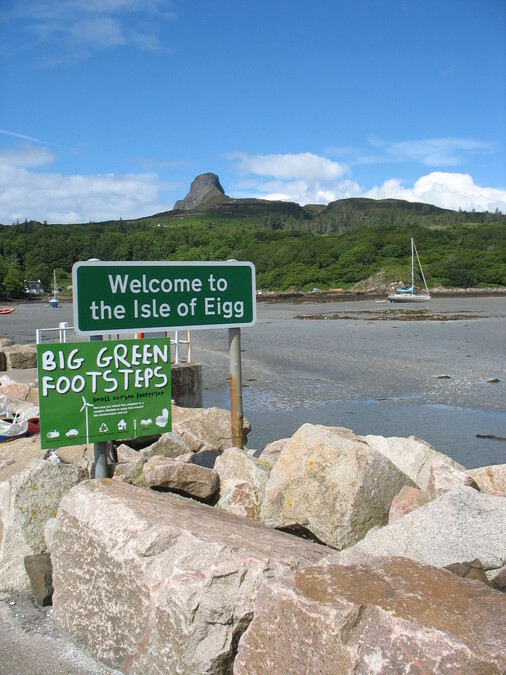 Eigg was bought by its own residents in 1997, and they all help out with the running of the island. At Away Game, that means they’re cooking your dinner, handing you your beer, chatting to you at 6am beside the fire, and making your bacon rolls in the morning. Donna The Piper will welcome you, and send you off, with a tune. Eigg’s population is 75 good hosts. All their positivity, and the beauty of the place, and the effort everyone’s made to get there, sets everyone up in a good mood before a single note has been played. There’s only a few hundred people, so it’s easy to say hello and make friends. 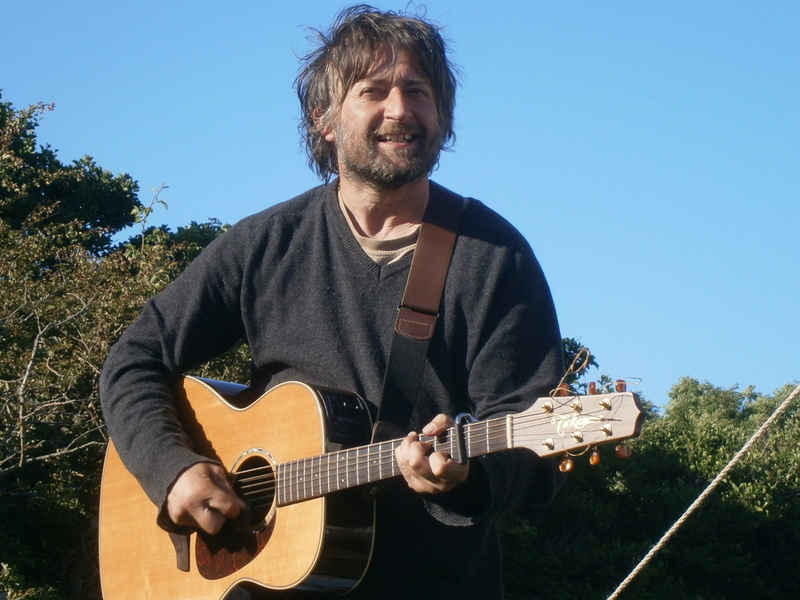 King Creosote’s name is Kenny. The Pictish Trail’s name is Johnny. Over The Wall are Ben and Gavin. Seamus Fogarty is Seamus. There’s plenty of time to drink and dance together, now let’s get on with some music. First it’s to the Eigg community hall, decorated by the kids of the primary school, for last-minute arrivals Meursault. Now on to album three, leader Neil has dropped the banjos in favour of an electric guitar and an appreciation of grunge. But the stylistic shift hasn’t affected the strength of his songwriting, and his distinctive wail, at once vulnerable and defiant, remains as impressive as ever. From the community hall it’s a ten second walk to the other stage, a marquee, where Over The Wall build on Meursault’s impressive start with a set of feel-good electro-pop and brilliant between-song banter. Final song Thurso, with its unforgettable trumpet finale, is always a crowd-pleaser: here it has strangers hugging, men crying and midges begging for forgiveness. On a roll the crowd empties back to the community hall for Olo Worms, whose battiness is just a bit too deadpan to capitalise. One member is dressed as a chicken and chomping sweetcorn to the rhythm: we don’t know whether to laugh or faint. Gradually their audio comes to life: one song features several members screeching like birds, before exploding into a shimmering stadium-rock bridge, climaxed by the chicken-man screaming and swirling a balloon around his head. Sheffield duo Slow Club pick up the baton and run the best lap of the night so far - which is saying something - with a lust-for-life performance. They have the irresistible boy-girl vocal melodies of an Arcade Fire, and the energy too, but without the earnest ambition or accoutrements: they only sing about love and laughter with guitars and drums because that's enough. Rebecca is leaping with excitement; their obvious enjoyment is contagious, and the marquee doesn’t so much empty as release a wave of euphoria. Later, we have performances from event organiser The Pictish Trail and Eigg’s finest metal band The Massacre Cave, before Fence indie-pop quartet Kid Canaveral play to surely the most excitable crowd they’ve ever seen, to close the night. Saturday gets off to a slow start as everyone recovers from the excesses of the night before. Rob St. John has a gloomy demeanour, but his voice has a distinctive tone, like the length of a cello stroke, and his backing musicians meticulously draw out every fine line of his atmospheric songs. Particularly impressive is the drummer, whose slow-motion gurning, slapping, cymbal scratching and artful bell-tapping is a joy to behold. On record King Creosote is often accompanied by little more than an acoustic guitar, but for Away Game he’s backed by a five-piece band, and the extra muscle gives his performance a fiery edge, particularly when the planned finale builds from a very bare opening to a ferocious three-minute climax. The packed marquee demand an encore and are obliged with an electrifying run-through of The Aliens’ Happy Song. Back in the community hall, Findo Gask’s Gerard Black requires so many band members to perform his new Babe tracks, he can’t fit on the stage himself. So he falsettos around the front of the floor while two - at times, three – drummers pound out wonderfully multi-rhythmic songs, his guitarist and keyboardist weave through the gaps, and somehow the melee comes together. It’s magnificently messy. Gruff Rhys is so deadpan he rarely smiles, but he clearly enjoys showing the crowd how cheap his gadgets are when performing solo: one song would surely feature an entirely different beat if he hadn’t found it on a kids’ keyboard with flashing keys. A slowed-down Lonesome Words is the highlight of his solo set, with a beautiful fingerpicked melody, a bone-chilling falsetto wail, and a bright orange metronome from Poundstretcher for a beat. Francois & The Atlas Mountains share several members with Babe and are also driven by two enjoyably expressive drummers, but where Babe’s rhythms tumbled, these skip, lightly sprinkled with summery melodies. For the final song, two band members swap on to further percussive duties, demonstrating just where Francois’s priorities lie. 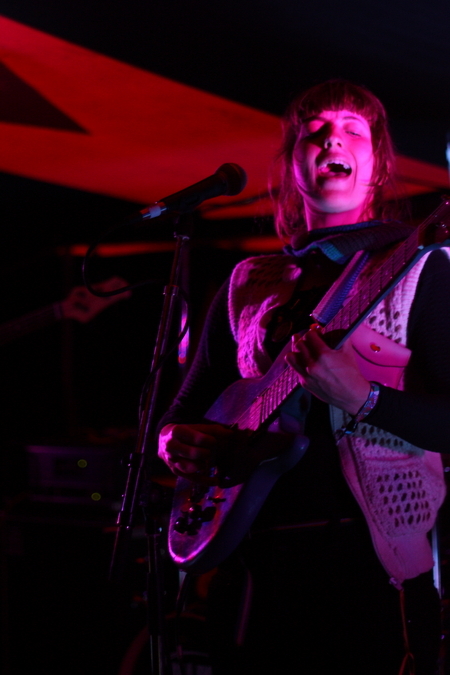 Similarly propulsive are Django Django, who command possibly the biggest crowd of the weekend at 1am on Saturday night, turning the muddy marquee into a sweaty club. Using kick drums and coconuts for percussion and movement, Djangos peak with the surf guitar and tribal rhythms of Wor. In the wee small hours, Jon Hopkins and Nathan Fake unleash grinding beats and glimmer from their laptops, before Eagleowl take the stage at 5am in front of thirty-or-so hardy souls and one very cool wee boy. The winds have risen to gale force and many tents have collapsed in the night. The Skinny emerges at 3pm on Sunday, ahem, morning, just in time for Ross Clark in the marquee. His first song appears to be set on a ship, which is appropriate as the rain is horizontal outside and nobody is steady on their feet. Clark’s voice sounds magnificent, with just a touch of reverb, like a Scots’ Tim Buckley. Slow Summer Dear is the highlight, a multi-part epic begun with a dramatic vocal intro. 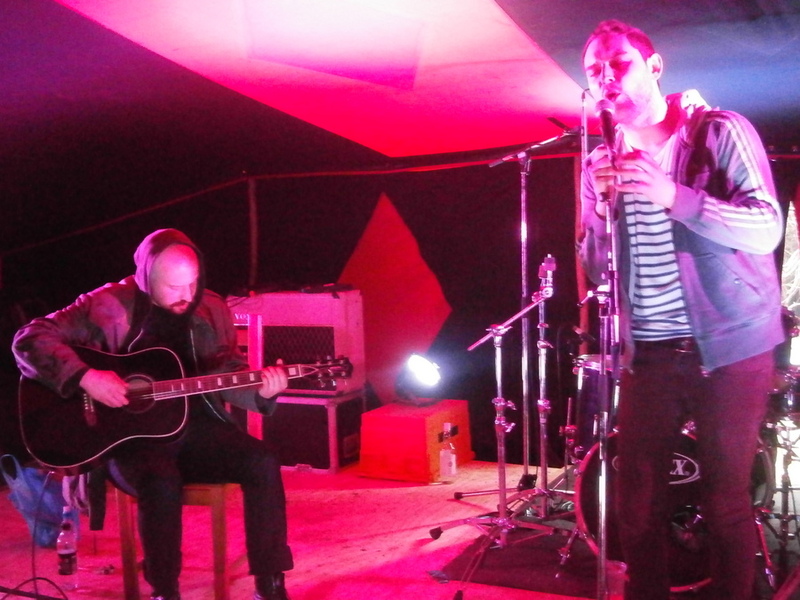 James and Andy from The Twilight Sad perform an acoustic show, which means no strings or squalling noise to induce tinnitus. Cold Days From The Birdhouse is particularly chilling, as the first half is sung almost totally a cappella by James as Andy realises he’s singing so well. 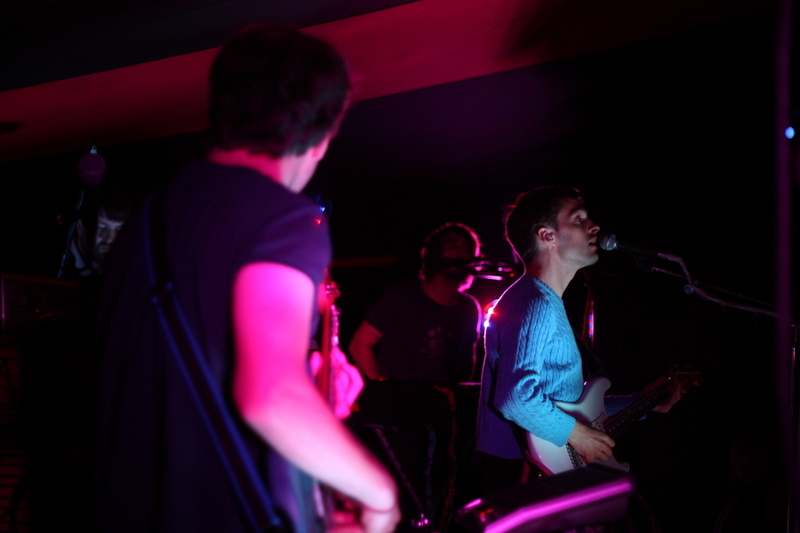 In the community hall, Insect Heroes are the first poor band of the weekend. The frontman talks more than he sings, presumably because when he sings he sounds like he’s never heard the song before and doesn’t know where it’s going. It’s good to be weird, but vocal melodies are important too. Sparrow and the Workshop get off to a stunning start with a fabulous high, held note from Jill on Blame It On Me, and end equally well with, firstly, a glorious noisy climax to Faded Glory, and then a rollicking cover of Donna Summer’s I Feel Love. The live music on Sunday finishes with Niteworks, a Hot Chip-like dance band who confound willing dancers by tacking on electric bagpipe and penny whistle solos. Dance music involves repetition driving physical momentum, but diddly-dee melodies are too fleeting to contribute to that. Never mind: weary Away Game revellers still somehow find the energy to dance well into the night to John MacLean’s (Beta Band) era – and genre-spanning DJ set. This year’s was the second Away Game, but it didn’t run in 2011, and Johnny Lynch is uncommitted about whether he’ll put it on again next year. “Chances are something will happen again in 2013,” he told The Skinny, “but whether it'll be a full on Away Game or not is still to be decided.” Be at the front of the queue if he relents.